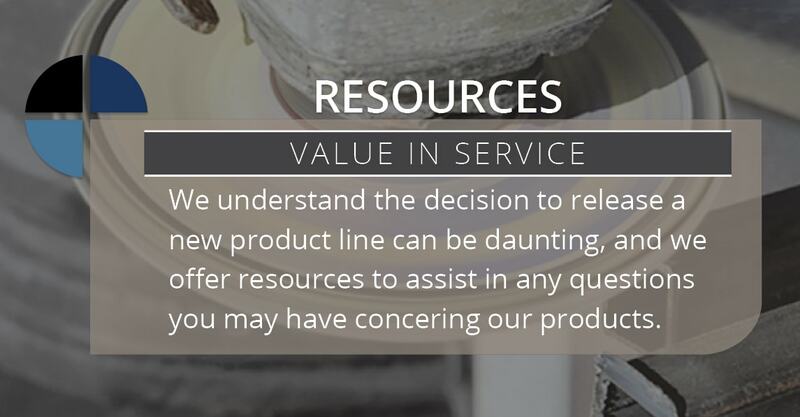 At Even Cut Abrasives, we strive to be your go-to resource not only for your top performing products, but also as a reliable source to get your technical questions answered.  Having the right tools for the job is not just an expression in the metalworking industry, but knowing how to use them effectively requires technical prowess. Many companies have unique needs for their applications.  We realize the myriad of products we offer need charts and technical data to help you decide which product best suit your needs. With the multitude of configurations we offer, choosing the correct product can be confusing. We have added a full page of technical information on this website to assist you. EMERY is a natural mineral found primarily on sheet goods. GARNET is also a natural mineral that is used on sheet goods as well as spiral sleeves and discs. Specialty abrasive products with garnet grain are primarily used in wood sanding operations. ALUMINUM OXIDE is a synthetic mineral that is extremely hard and resistant to wear. This grain is the most commonly used mineral in specialty abrasives and is appropriate for both wood and metal sanding. SILICON CARBIDE is an extremely hard and brittle material that fractures as it wears, presenting fresh surfaces for continued sanding.  Specialty products made with this grain are generally found in the woodworking, metal, and stone finishing industries. ZIRCONIA ALUMINA is a blend of zirconia and alumina minerals developed for high-pressure heavy stock removal operations. CERAMIC ALUMINA is the hardest and the toughest synthetic mineral and is well suited for high-pressure grinding applications. PAPER BACKING is primarily found in sheet goods, the finer the grit the lighter the backing material.  Paper backing is available from the lightest weight (A), to the heaviest weight (F). Spiral Sleeves and Garnet discs are manufactured using paper backing appropriate to the grit. CLOTH BACKING is the most commonly used backing on specialty abrasives. 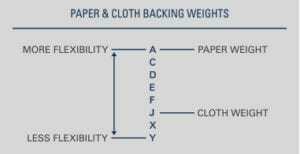 Like paper, cloth is available in various weights from a flexible J-Weight and X-Weight to the heavier Y-Weight. Most specialty abrasives are manufactured from X-Weight cloth as this material is strong and durable and is appropriate to most sanding operations. 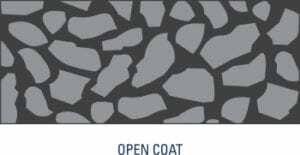 OPEN COAT refers to the partial coverage of the backing by the abrasive grain (40–70%). An open coat abrasive is used where the material being machined tends to clog or load the surface of the specialty abrasive, such as wood and soft metals. CLOSED COAT refers to the complete coverage of the backing by the abrasive grain. 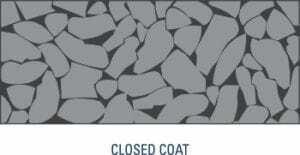 Closed coat abrasives are considered the standard design and are used where loading is less of a problem. Abrasive minerals are electrostatically spread on the treated backing material and held in place with a bonding agent. The first layer or treatment is known as the “make” coat which holds the mineral in place. The second treatment is called the “size” coat, which generally “locks” everything together. These “make” and “size” coats are available in many combinations and are generally specific to a specific specialty product or to applications that are customer or application driven. GLUE OVER GLUE refers to the use of animal hide glue for both coats. This type of abrasive product is generally referred to as Glue Bond and is typically found in discs and economy shop rolls. RESIN OVER GLUE refers to the application of synthetic resins (the size coat) over the grain which is already held in place by the glue bond make coat. Generally, this abrasive will normally be found in sheet goods, discs, and shop rolls. RESIN OVER RESIN is generally the standard for most specialty abrasives. Synthetic resins are used for both the make and size coats to enhance the performance and life expectancy of the specialty product. With the increased bonding characteristics of resin over resin, the grain is less likely to shed from the backing material and is capable of withstanding higher heat and pressures. WATERPROOF OR WET/DRY refers to the application of resins for both the make coat and size coat onto waterproof backing materials. This permits the use of water, oils or other lubricants when using specialty coated abrasives. Abrasive specialty products are manufactured in grit sizes ranging from a very coarse 12 grit to an ultra fine 1200 grit. The most commonly used grits range from 24 to 400. The chart on the right illustrates the different grit sizes and the two grading systems used. 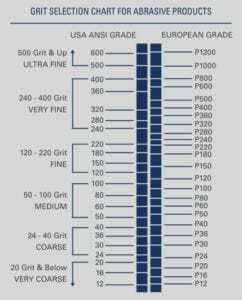 The USA ANSI grading system has been typically used by North American manufacturers, while European manufacturers have favored the P-Grade system. Most specialty abrasives manufactured by Even Cut are produced from the highest quality X-Weight and Y-Weight materials available.  Standard grain types listed are aluminum oxide. Products manufactured from silicon carbide, zirconia alumina, and ceramics are also available.